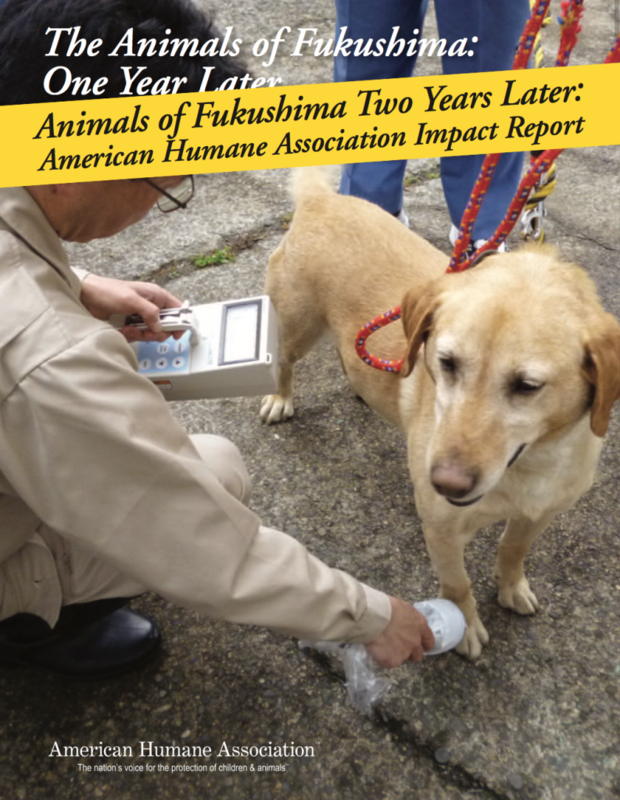 On the one year anniversary of the stunning devastation in Fukushima, American Humane produced a report on our site visit to the disaster scene that included photos, facts and reflections on Japan’s Ground Zero. Thoughts of the companion animals impacted by the disaster living in temporary shelters until their families could bring them home still haunt me today. And as we have since learned, many more animals are still being rescued from the restricted area at Fukushima even today. What brings me hope and peace in the year since that site visit is that American Humane continues to bring needed aid to the animals of Japan. Following our site visit last year, American Humane committed to $130,000 in grants to the animal shelters on the ground in Fukushima. The grants were over and above the Red StarTM humane relief provisions provided directly following the disaster, demonstrating our long-term commitment to the lives of the impacted animals. Not only do we continue funding the vital work of the Fukushima shelters today, we are also working to advance community disaster preparation throughout Japan. Our Red StarTM Rescue disaster preparation tips were translated in Japanese and sent to the government prefectures throughout Japan. Our famed Red StarTM Rescue disaster preparation training courses are now being translated so that we can provide on the ground shelter and rescue training to our overseas partners. The status report today – two years after the disasters struck – is that dogs and cats continue to be rescued from the restricted area. As of January 31, the area shelter at Fukushima was housing 994 animals from the disaster scene, including 453 dogs and 541 cats. At the Miharu shelter, volunteers are continuing to care for 62 dogs and 263 cats, for a total of 325 animals. I have been assured that the animals are receiving lots of tender loving care while in the shelters awaiting for their owners to take them to their new homes. Recent photos of the animals and the sheltering facilities are included in this impact report, as well as the full site visit report from 2012.